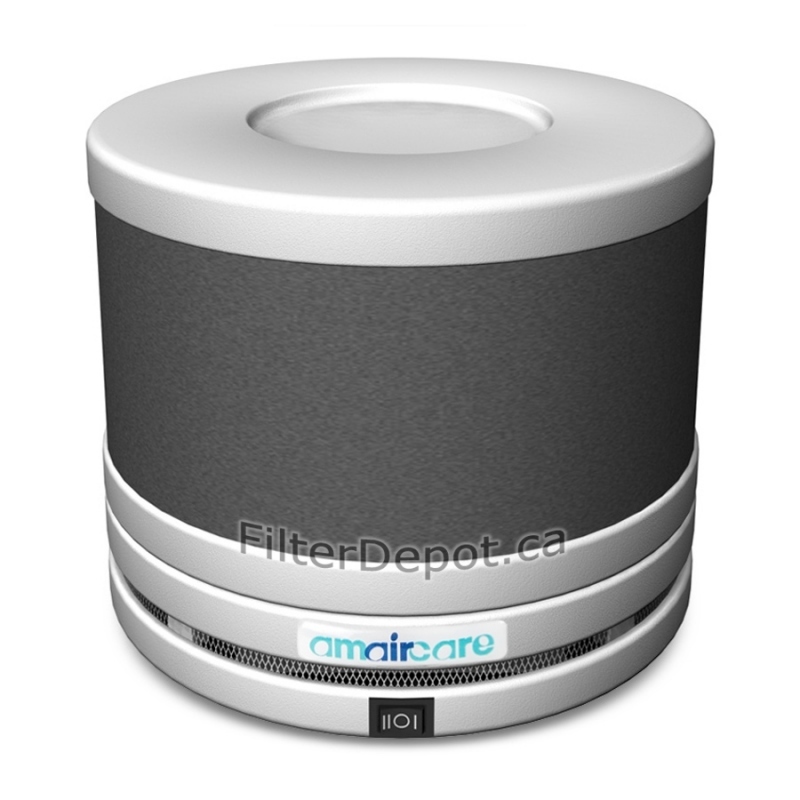 Amaircare Roomaid is Amaircare's original Multi-purpose portable, compact, lightweight, affordable air purifier for small areas. 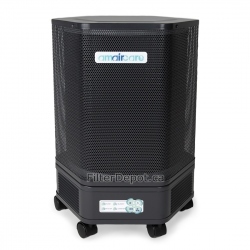 Amaircare Roomaid air purifier features the Amaircare 3-stage HEPA and Carbon air filtration system, which allows the Amaircare Roomaid to deal effectively with dangerous air pollutants and air contaminants in small areas, such as: bedroom, dorm room, nursery, cubicle, hotel room. 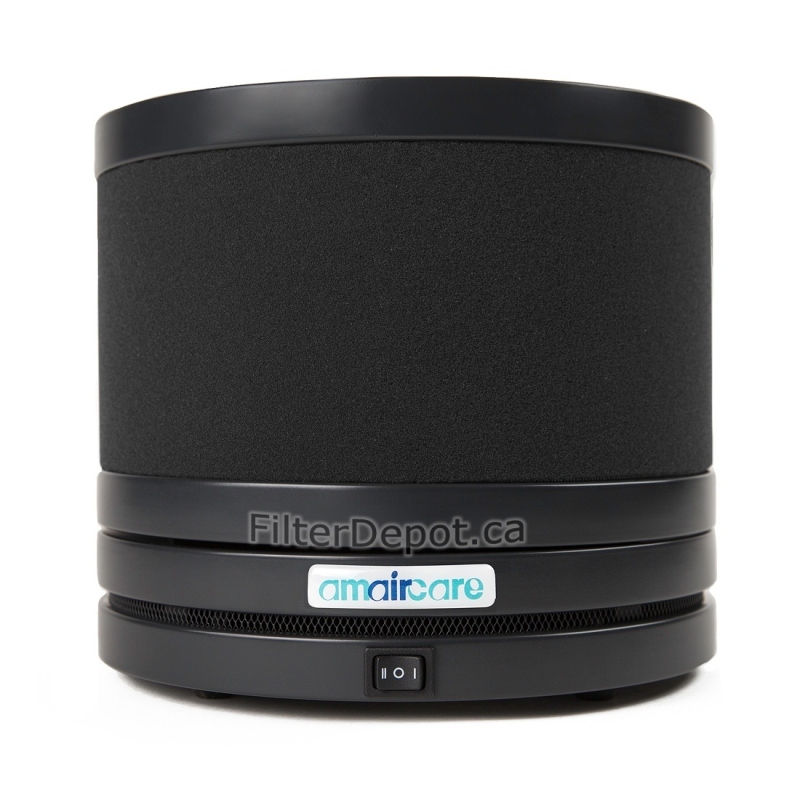 The optional Auto Kit makes the Amaircare Roomaid is a perfect air purifier for cars, trucks, RVs, boats, etc. 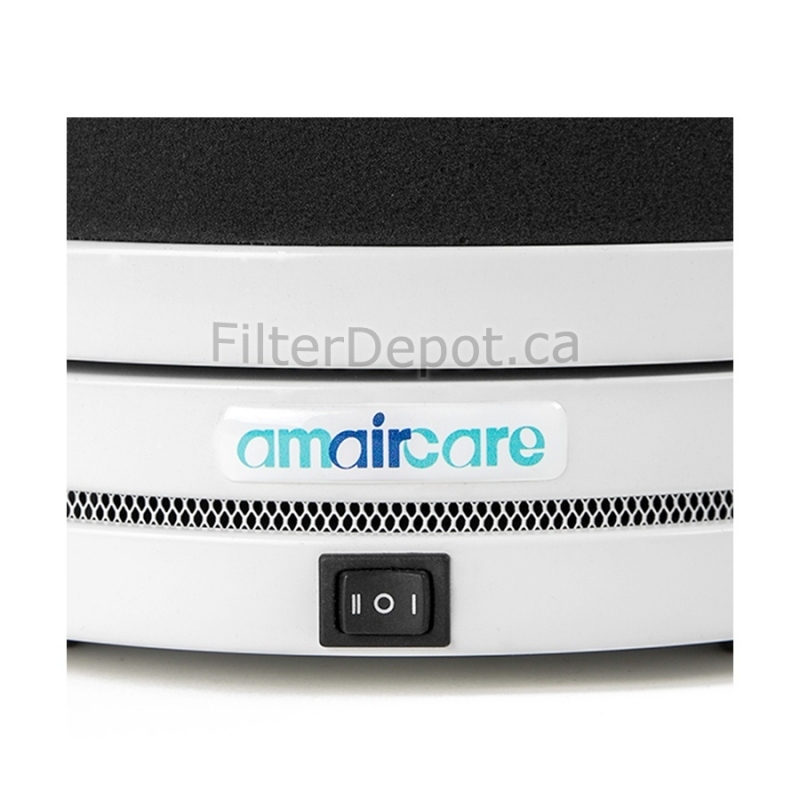 Amaircare Roomaid Multi-Purpose Portable Air Purifier is equipped with high efficiency True HEPA and Activated carbon air filtration system. 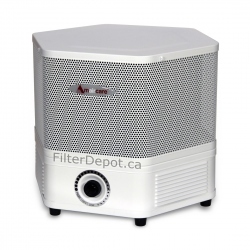 It allows the Roomaid to trap from the air all airborne allergens, dust, chemicals and odors. 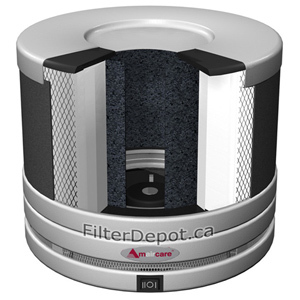 The available optional VOC cartridge allows Roomaid to effectively adsorb VOCs, ammonia, formaldehyde and other dangerous chemicals. 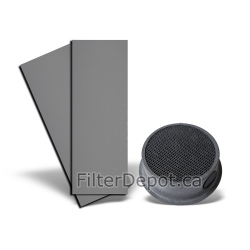 The Roomaid's compact lightweight design and the ability to run from virtually all power sources makes it highly beneficial for individuals with an active lifestyle and people on-the-go. 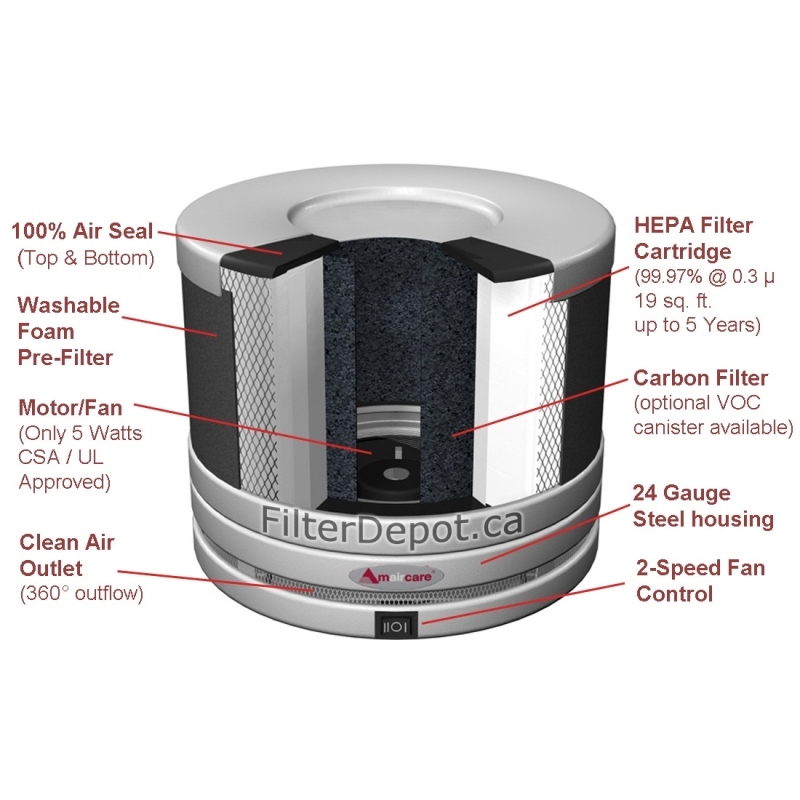 The available Auto kit also makes the Roomaid an indispensable air cleaning device for combating the air pollution in cars, trucks, RVs, especially for those involved in a long daily commute in heavy traffic of metropolitan areas. 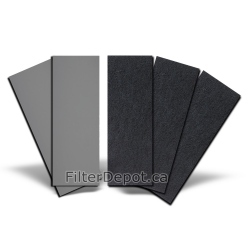 The Roomaid"s Standard Annual Filter kit contains two replacement foam pre-filters. 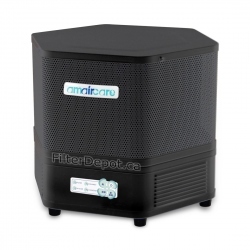 120V 60 Hz AC to 12V DC power adaptor (Type K Plug) with 7 feet power cord included. 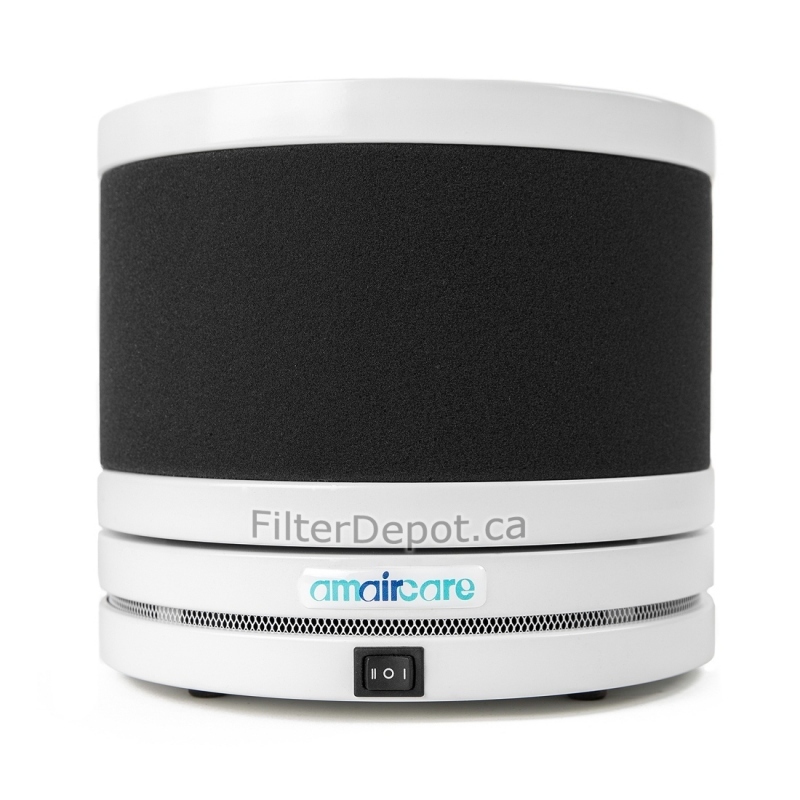 The Universal Power adaptor for 12V DC output can be used to power the Roomaid air purifier virtually from any power source anywhere in the world. 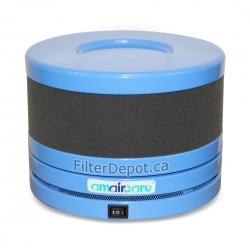 Turn your Amaircare Roomaid into an effective air purifier for effective removal of VOCs, diesel fumes, exhaust gases, stale car odors inside your car, truck, RV, boat, etc. 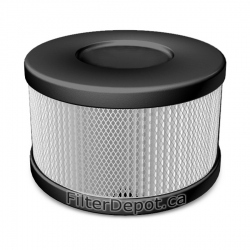 with an optional Auto Kit. 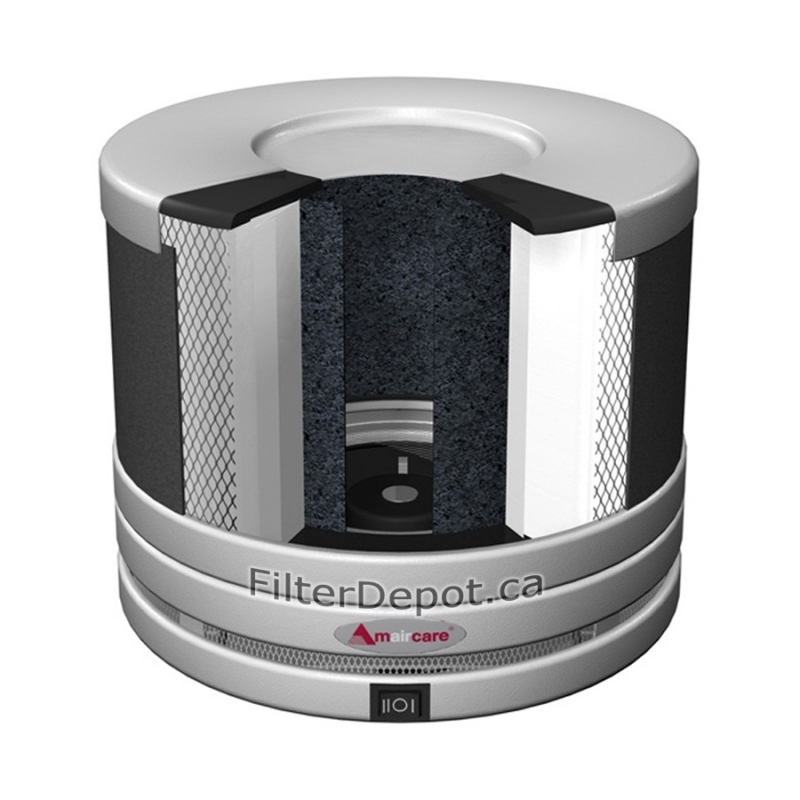 The Auto Kit consists of the Power Adaptor and a Secure seatbelt plate. 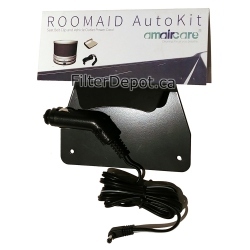 The Power adaptor allows to power your Roomaid air purifier from the vehicle's on-board 12V DC electric system - plugs into 12V DC outlet (cigarette lighter). 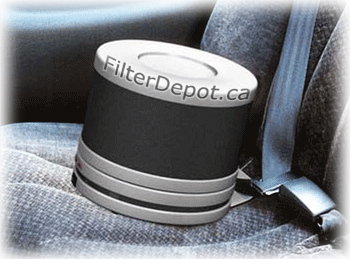 The Secure seatbelt plate (clip) safely secures your Roomaid air purifier to a vehicle's seatbelt to prevent its accidental movement.